Ever wished to have a small box you could place anywhere that would alert you whenever there was movement around? Now you can, and it will cost you just $11 to do it. There are countless ways to do all sorts of things these days, but more often than not, people still prefer the easier and simpler way. That's why this tiny GSM motion sensor is just perfect. All you have to do is to place it wherever you need to keep an eye out for, and it will send you SMS whenever it detects motion - or call you, so you can hear what's happening. Stated battery life if 5 to 7 days, which should be enough for most situations, though you can expand it using an external power bank (or simply connect it to power, should you have a power socket nearby). Though its ability to simply be placed anywhere and not have to worry about anything else sure is one of its biggest selling points. ... That's and its price of only $11 of course! 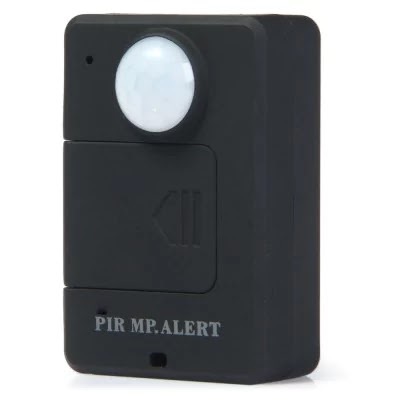 It sure opens up a whole new range of remote monitoring for all sorts of situations.